Notification with the passing of Delta Golden Wings member retired C&S/Delta pilot Captain Howard Edmond Reid, age 98. Captain Reid joined Chicago & Southern Air Lines 03-01-1941 and retired with Delta Air Lines in 1980, based ATL at time of retirement. He is survived by his wife Helen, their children and grandchildren, plus many other family members and friends. Services for Captain Reid were held November 27th in Illinois. 17 N 661 Powers Rd., Gilberts IL 60136-9607. - Howard E. Reid, age 98, of Melbourne Beach, Florida and Gilberts, Illinois, passed away peacefully surrounded by and under the care of his family on Friday, November 23, 2018 at his home. Howard was born in Detroit, Michigan on April 16, 1920 and was the son of the late William and Hendrikje (nee Telgenhoff) Reid. He was a WWII United States Army Air Corps veteran. 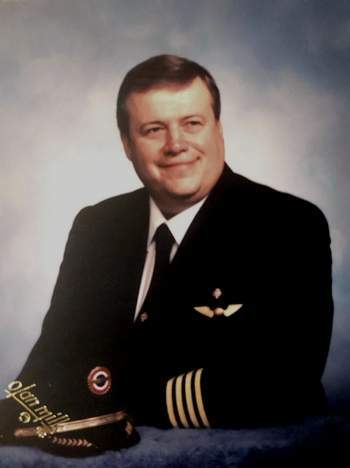 Following his time in the military, Howard began a 39 year distinguished career with Delta Airlines as a commercial airline pilot and earned the rank of Captain. Survivors include his beloved wife of 72 years; Helen L. Their daughters; Elizabeth "Betsy" (Bill Suworoff) Reid and Nancy Reid. His granddaughter; Elizabeth R. (Greg Schmitt) Benton. 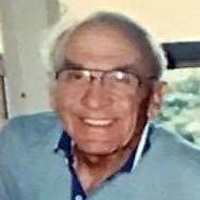 His grandson; James R. ( Meredith Peterson) Benton. Other survivors include his stepgranddaughter; Jessica Suworoff and his sister; Phyllis VanBrug. In addition to his parents, Howard was preceded in death by his sister; Mae Closterhouse and his brother; Marvin Reid. Visitation was held on Tuesday at Miller Funeral Home, West Dundee. Burial followed at Washington Memorial Cemetery in Elgin. To leave an on-line condolence, please visit www.millerfuneralhomedundee.com For info, please call 847-426-3436. Word has reached our group with the passing of RNPA member retired Northwest pilot Captain Barry Worth James, age 85. Captain James joined Northwest Airlines 05-16-1959. He is survived by his wife Treva, their grand- and great grandchildren, plus many other friends and family members. Services are planned for Friday, November 30th in Minnesota. Please see all service arrangements below. 3147 Linden Cir NW , Prior Lake MN 55372-1608.
be laid to rest at Fort Snelling National Cemetery. Barry began a lifelong career as a pilot. 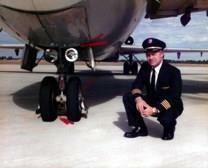 For 33 years, Barry was a pilot with Northwest Airlines. enjoyed the mountain views and tending to the animals, especially his horses. and friends. His signature drink, which he coined a “Swamp Water,” was sure to be served. NWA Captain Barry W. James, age 85, has passed away. Further details will be shared as information becomes available. Barry was hired by NWA on May 16, 1959. 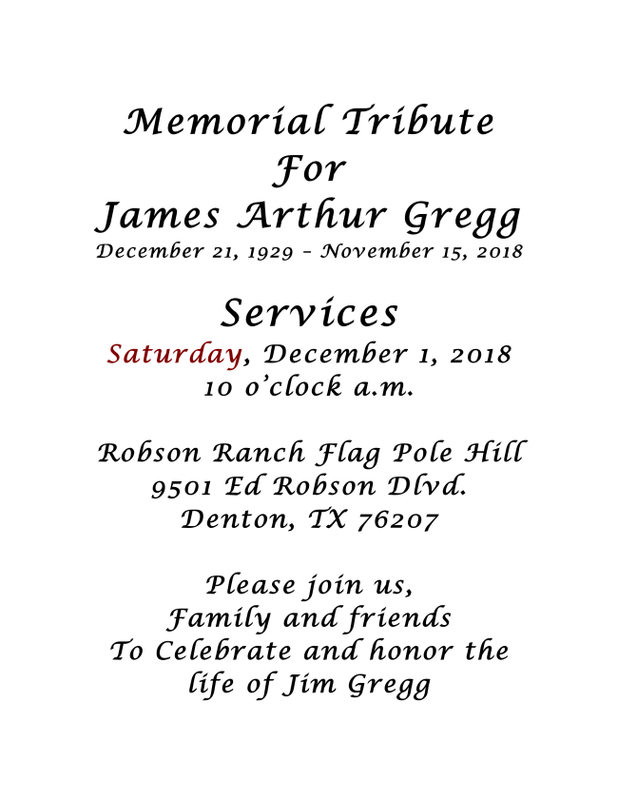 James " Jim" Arthur Gregg died on November 15th, 2018 at his home in Denton, TX. He loved his family, flying and Texas. His ancestors were members of "Austin's Old 300". William Rabb, Joseph Newman, and William Rabb Newman arrived in Texas in 1831. They were given land grants around LaGrange, TX and around the Colorado River in Whorton County. Jim's maternal grandfather, Malcolm Arthur Newman, and Arthur's brother Prentice Alexander Newman were both fluent in Spanish and in 1909 built and flew the first single-winged airplane in Brownsville, TX. Jim was a seventh generation Texan. Jim was born in Brownsville, TX on December 19th, 1929. His parents were Gladys Newman and James Teber. They were divorced when Jim was two years old. Some years later Gladys married James Spencer Gregg. In 1942, the Greggs moved to Mexico City, where the elder Gregg worked for the American Embassy. Jim's parents decided to send him to Houston, TX to live with his aunt, uncle, and cousins, so that he could get a better education, as the schools in Mexico were not that good. Because of his living in Mexico, Jim was fluent in Spanish. The summer that he was sixteen, he learned to fly. When he attended Schriner Institute he continued his flying lessons. Jim graduated from the University of Texas. He was in the ROTC and joined the Army Air Force. He was a pilot during the Korean War. After the war, he resigned from the Air Force and went to work for Delta Airlines. He retired from Delta in 1990. Jim married Jane in April 1961 and they had two sons, Jim and Steven. Jim was an athlete. He played basketball in high school and was a life long tennis and table tennis player. Jim had his own business. Trinity Export. He sold medical equipment to clients in Mexico. After retiring from Delta, he bought his own plane and participated in air shows in Texas. He was an active member of the Air Force Unit that fought within Korea. He never missed a meeting. Jim leaves behind his two sons, Jim and Steven, his grandchildren, and many extended family members who loved him and will miss him. A memorial tribute is scheduled for Saturday, December 1st, 2018, 10:00 am at Robson Ranch Flag Pole Hill, 9501 Ed Robson Blvd, Denton, TX 76207. Please join us, family and friends to celebrate and honor the life of Jim Gregg. 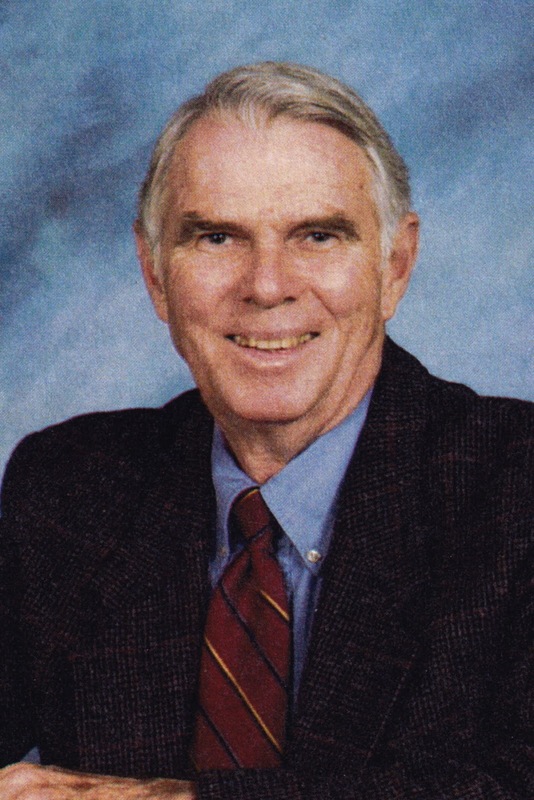 News has reached us with the passing of retired Delta pilot Captain James Arthur Gregg, age 88. 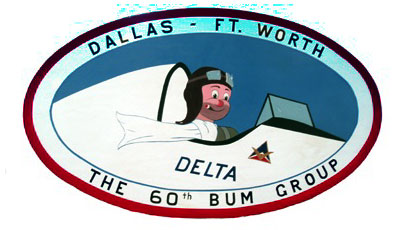 Captain Gregg joined Delta Air Lines 09-10-1956 and was based DFW at time of his retirement in 1989. Memorial services for Captain Gregg are planned for December 1st in Denton, Texas....please see information below. To date I’ve not been able to locate an online obituary. As more information is received we will be sure to pass it along. Notification with the passing of retired Northwest pilot Captain Dean Earl Greeno, age 72. Captain Greeno joined Northwest Airlines 03-24-1969. He is survived by his wife Mary, his children and grandchildren. Service arrangements are not known. Should more news be received we will be sure to pass it along. Dean Earl Greeno was born April 15, 1945, to Walter and Ruth (Kuble) Greeno. He grew up in the small town of Rudyard, Mont., where his family farmed wheat. An avid athlete, Dean played several sports and excelled at basketball, which he played in high school and college. While attending the University of Montana he discovered his first love — flying airplanes. After graduating with a degree in political science, he pursued his private pilot's license at Harrod's Aviation in Billings, Mont. There he met his first wife, Dona Hicks, who remembers "he had the best smile in the world." In March of 1969, Dean began a long career as a pilot for Northwest Airlines, where he flew domestically and internationally for 35 years. Dean retired as a 747 captain — respected by his colleagues as an exceptional pilot. While at Northwest, Dean met Mary Oesterreicher, a flight attendant with the airline. They married in 1979 and moved from Minneapolis, Minn., to Spokane, Wash., in 1984. In Spokane, Dean was a fixture at the local racquet club, where he balanced a busy career by playing tennis and racquetball with friends and club competitors. He also loved cars and built a beautiful classic car collection that he displayed in his "shop." Dean and Mary also spent as much time as they could at Priest Lake in northern Idaho, where they shared a cabin with friends and family for the last 30 years. They retired in the Coeur d'Alene, Idaho, area in 2004. Dean passed away at home on Nov. 12, 2018. He is preceded in death by his parents; infant sister, Marie and brother, Dale. He is survived by his wife, Mary; daughters, Marney (Douglas) Zellers and Mandee (Kurt) Vigesaa; sons, Darren (Leah) Greeno and Mitchell Greeno; as well as six grandchildren. In lieu of flowers please honor Dean and his wife, Mary, who suffers from late-stage Alzheimer's, by donating to the Alzheimer's Association. Lt. Col. Richard Reece Roudabush passed away early Sunday morning due to complications from a long and hard fought battle with Multiple Sclerosis. Richard was born in Brooklyn, Iowa on February 10, 1947, the third child of Robert and Marie Roudabush. 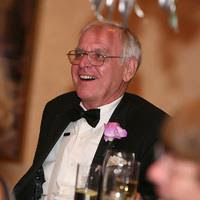 Richard graduated from Brooklyn-Guernsey-Malcom High School in 1965 and then earned a Bachelor of Science, Engineering at the University of Iowa in 1969. After graduation, he joined the United States Air Force, where he flew a KC135. He met JoAnne E. Roudabush (deceased), his wife of 40 years, in Sacramento, California while he was stationed at Mather Air Force Base. Together they had four children as they were stationed at Incirlik Air Force Base in Adana, Turkey; Fairchild Air Force Base in Spokane, Washington; Buckley Air Force Base in Denver, Colorado; and, finally at Castle Air Force Base in Atwater, California where he retired a Lieutenant Colonel after 20 years of service. He continued his passion for flying as a commercial airline pilot for Delta Airlines until the Multiple Sclerosis forced him to retire. Richard was extremely generous and as a lifelong and active member of Rotary International and the Daedalions, he donated whatever he could, whenever he could. He loved his family, his almond orchard, and the Iowa Hawkeyes. Notification with the passing of retired Northwest pilot Captain James McEwan Cutler, age 91. Captain Cutler first joined West Coast Airlines 04-22-1957 and made the various mergers during his commercial flying years. Please see available information below. James (Jim) McEwen Cutler, age 91, of Issaquah, WA, died at home November 17th of respiratory failure. Jim was born 14 September 1927, at Hood River, OR, the son of Prentiss Lincoln Cutler and Eleanor Virginia McEwen, of Dee, OR. Growing up Jim lived at various locations in Eastern Oregon and Southern Idaho. He was in the ROTC in High School, then joined the Navy's D-Five Aviation program. As a civilian he continued to fly in Boise, ID, becoming a flight instructor, charter pilot and then an airline pilot in 1957. His flying career brought him to the Seattle area in 1959, where he retired as a 757 captain for Northwest Airlines in 1987. In 1970 Jim was awarded the Daedalian Civilian Air Safety Award and the FAA Distinguished Service Medal for actions as captain of an Air West Airlines passenger flight which caught fire over Eastern Washington in 1969. Jim's favorite pastimes included playing with his dogs, amateur radio, computer games and crossword puzzles. Jim married his wife of 31 years, Betty (nee Bassett) in Bangkok, Thailand. He was previously married to Sheila Donnan of Spokane, WA. Children are Kathleen Willner, Gerald (Lesley), Donald (Cyndi) and Douglas (JoAnn). Jim also has nine grandchildren and nine great-grandchildren. Jim is predeceased by his parents, sister Virginia Lee Cutler, twin brother Prentiss Lincoln Cutler and brother Philip Leo Cutler. Notification with the passing of retired Republic pilot Captain Frank J. Akers, age 95. Captain Akers first joined Bonanza Air Lines 10-15-1955 and due to various mergers he retired with Republic. Please see available information below. Captain Akers was widowed in 1995 with the passing of his wife Billie Jean. He is survived by his grand- and great grandchildren. Frank J. Akers passed away on October 31, 2018 at the age of 95. He was born in northern California and grew up in Chowchilla, CA where he met and married his high school sweetheart, Billie Jean Creager. They were happily married for over 51 years before her passing in 1995. Frank is survived by his five daughters, Billie Jean Nigro, Margaret McAnally, Barbara Jackson, Jackie Miller and B.J. Reed. He had nine grandchildren, several step grandchildren and a multitude of great grandchildren, all of whom he loved and cherished! 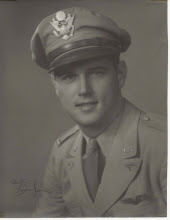 Frank was 19 years old when he became a commissioned officer and pilot in the Army Air Corp during World War II. Frank flew as a commercial pilot with Bonanza Airlines, merging into AirWest; Hughes AirWest; and finally retired with Republic Airlines (which eventually became Delta Airlines). Frank was very active in the Masonic Lodge, El Zaribah Shrine (Captain of the Temple Guard) and drove a little red Indy car in multiple parades entertaining children and adults. He was also very active in the Order of Eastern Star where he was a Past Worthy Grand Patron for the State of Arizona. Frank J. Akers' Celebration of Life service will be held in his church at 10:00am on Saturday, November 24, 2018 - Church of Epiphany - Episcopal; 2222 South Price Road, Tempe, AZ 85282. A reception will follow. 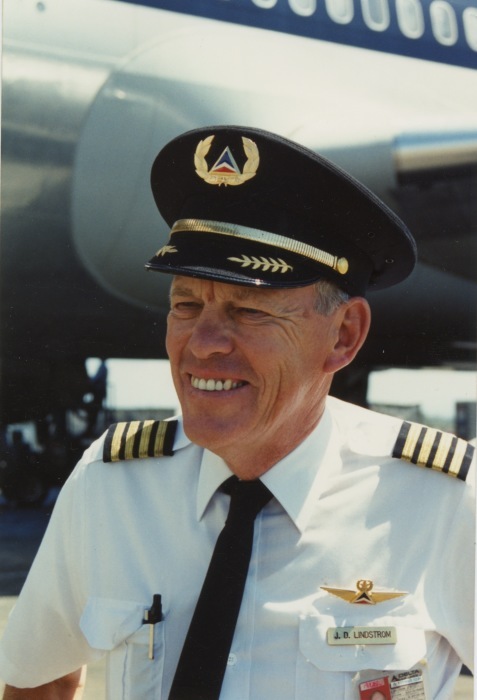 Notification with the passing of retired Delta pilot Captain Richard William Kearney, age 86. Captain Kearney joined Delta Air Lines 11-10-1958 and was based Atlanta. He is survived by his wife Kathleen, their children and grandchildren. 3781 NW 107th Ter., Sunrise FL 33351-8119. Obituary...........Mr. Richard William Kearney, passed away at age 86 on November 18, 2018 in Plantation, Florida. He was born on September 9, 1932 in New York, New York and grew up in Brandon, Florida. From 1951 to 1957, Richard served in the Air Force. Later, he worked as a pilot employed by Delta Air Lines for 33 years. When he retired in 1992 he was flying L1011's to Europe . Richard was the beloved husband of Kathleen for 57 years. He is survived by his wife, son Kevin and wife Elizabeth, daughter Suzanne and husband Bobby, son Brian, and son Brett. He is also survived by grandchildren; Shannon, Meghan, Alyssa, and Geena and step-grandchildren Aly and Anthony. Word has reached us with the passing of Delta Golden Wings member retired Delta pilot and Navy veteran Captain John Douglas Lindstrom, age 84. Captain Lindstrom joined Delta Air Lines 04-17-1961 and was based 030/LAX. He is survived by his wife Jan, their children and grandchildren plus many other dear friends and family members. Services for Captain Lindstrom are planned for tomorrow November 15th in California....please see all available information below. 30301 Calle La Reina , Bonsall, CA 92003. John Douglas Lindstrom, 84, was born a farmer, died a farmer, and loved a lot in between. He passed away November 5, 2018 in a tractor accident at home in his cherished avocado grove in Bonsall, CA. Born July 30, 1934 in Minneapolis, MN, the son of the late John and Sigrid (Johnson) Lindstrom, he was raised on a dairy farm in Braham, MN where he enjoyed twice-daily milking, 4H projects, skiing up-hill both ways to the one room school house, and enduring the antics of his beloved older brother Devore. John received his BS in Agriculture in 1957 and his MS in Agricultural Economics in 1961 from the University of Minnesota. A member of Alpha Gamma Rho, he met the love of his life, Janice Ogren, at an undergraduate fraternity social, but was slow to close the deal and instead took a three year detour to get his wings in the Navy. John and Jan met again and later married on August 27, 1960 in Almelund, MN, beginning a life of adventures that brought them ever closer together. Their first daughter, Jana, was born in Atlanta where they had moved after John joined Delta Airlines. Jill and Jodie came later after they had moved to Dundee, IL. They traveled the world, both as a couple and as a family. Looking back on family photos, John’s biggest smiles came whenever he was out supporting his daughters and grandchildren in whatever they did. He was incredibly proud of them. John’s faith in Christ was the center of his life, and informed all his actions. It led him to an attitude of service in the church, the community, and in our country. During his 30 years in the United States Navy and Naval Reserve, John amassed more than 10,000 hours of military flight time. First as Commander then as Captain, John held multiple commands before retiring in 1986. Under his leadership as Commanding Officer of Fleet Logistics Support Squadron 51 (VR-51), the squadron won the Noel Davis Trophy (Battle Efficiency Award). for the U.S. National Ski Hall of Fame & Museum. All this time, John still harbored a dream to return to the land. In 1989, that dream became reality. The couple moved to Bonsall, CA and John transformed six acres of barren land into a lush avocado grove trusted by University of California researchers to try out new varietals. Always seeking to go deeper, he served on the boards of Index Fresh, the Avocado Society, the Hass Avocado Board, and the California Avocado Commission. He also regularly attended the World Avocado Congress and in 2008 received the avocado industry’s most prestigious award, the California Avocado Society Award of Honor. He is survived by his wife of 58 years, Janice, daughters Jana (Russ) Allen of Coronado, CA, Jill Lindstrom of Bethesda, MD, Jodie (David) Frerichs of Los Altos, CA, brother Devore (Janet) of Cambridge, MN, seven grandchildren, one great-grandchild, and many special nieces and nephews. He was preceded in death by his parents. Celebration of life service to be held at Emmanuel Faith Community Church, 639 E 17th Ave, Escondido, CA, Thursday, November 15, 2018, 11:00 with a reception following at the church. In lieu of flowers, the family suggests donations to the John Lindstrom SPAN Scholarship Fund, Minnesota SPAN Association, 774 Social Science Bldg. - U of M West Bank, Campus delivery code: 7173, 267 - 19th Avenue South, Minneapolis, MN 55455. PCN; I just received a phone call from one of John Lindstrom’s daughters. She wanted to make sure the pilot group was aware of John’s death; I forwarded Leo Bezdek’s email to her and told her I was pretty sure that Delta PCN was informed. To insure the notice is distributed I am forwarding it to PCN also. Should more information be received we will then pass it along. age 77, passed away on September 19, 2018 at his home in Tucson, Arizona. The Funeral Service will be held at 11:00 a.m. on Saturday, October 20, 2018, graveside at Rideauvale Cemetery, Kars Ontario, Canada. Isobel Eastman will be the host. Funeral arrangements are being handled by EASTERN ONTARIO CEMETERY MEMORIALS in coordination with Donna McCallum. Kelly was born in Gulf Port Mississippi, on September 28, 1940 and graduated Pontiac High School in 1958. From there, Kelly attended and received a bachelor degree from Michigan State University. At college Kelly fell in with a fun-loving group that he referred to as the "bum boys" and he remained friends with many of them. One of his professors at the university wrote a book based, in part, on the adventures of the bum boys. This book was later adapted into the 1960 movie "Where the Boys Are". After college, Kelly began his service to our country in the United States Marine Corps, flying helicopters during the war in Vietnam where he saved many lives. 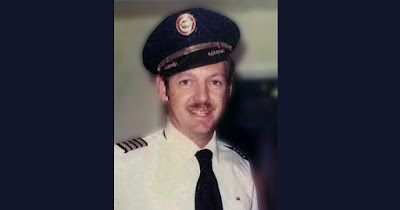 When his military service was over, Kelly joined Northwest Airlines (now Delta) and retired as a captain after 35 years of service. During this time he also married Drucilla Anderson with whom he spent many wonderful years. 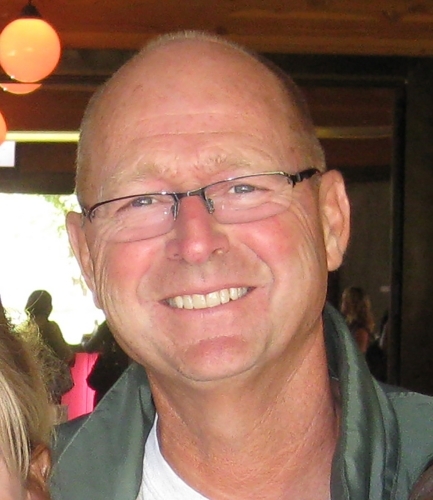 Kelly excelled at several other successful business endeavors and enjoyed many outdoor activities, especially mountain and cross country bicycling throughout his entire life. Kelly was fascinated by stories of the old west which might explain why he settled in Tucson Arizona for the last part of his life. He lived there in the Rincon Country East RV Resort with his partner, Judy Hansen where he had many close friends who will miss him dearly. Kelly is survived by his sister, Eleanor Jean Carson; many friends, and family who loved and miss him very much. Kelly is preceded in death by his parents, Colin and Mary Carson of whom his remains will be laid to rest with. Please see funeral and service arrangements below.....services will be held in Kent, Wash.
Donald C Hawley was born in St. Louis, Missouri on February 16, 1919. His father Russell and mother Mary raised Don in New Glarus, Wisconsin where he was baptized at the Bethel Church. Russell was a dairyman and Don had wonderful memories of farm life and his beloved horse Billy. The family moved to Greenville, Illinois where Don was an excellent athlete and held the Illinois State High School record for the mile. One of his best memories was travelling to nearby St. Louis to see the St. Louis Browns play the New York Yankees where he got to see Babe Ruth in one of his final games. In 1937 Russell accepted a position with Pet Milk and moved the family to Portland, Oregon. This became a region that Don would call home for the remainder of his life. He loved the mountains and lakes of the Northwest. He became an athletic member of the Multnomah Club where he wrestled and took part in other activities, and also attended Lewis and Clark College. It was his job as a soda jerk at the famed Jolly Joan fountain in downtown Portland, however, that would shape his life from then on. There he met a pretty young blond named Darlene Parker in the spring of 1941. Don had joined the Oregon National Guard and was sent to Fort Lewis that fall. Darlene was not going to let him go that easily. She and her mother Vetha moved to Seattle to be as near him as possible. Don got a job at Boeing and enrolled at the University of Washington for winter quarter. Then came December 7, 1941. After the attack on Pearl Harbor he was placed on active duty and immediately sent to the Washington coast to watch for any enemy activity and to support military installations. During the next month he and Darlene had no communication whatsoever. Upon his return to Seattle and faced with the incredible uncertainty of the time the young couple decided they wanted to spend whatever future they had together. They drove to Olympia and were married on January 10, 1942, just over a month after Pearl Harbor. The couple spent the next year plus travelling to different military schools after Don was accepted as an Officer Candidate and pilot trainee. On June 26, 1943 their daughter Donna was born, and although Don had not yet been sent overseas he was not able see her prior to his departure for New Guinea on August 28th. He then spent the next 18 months flying a total of 314 combat missions. By far his most harrowing experience came when flying paratroopers in Australia. 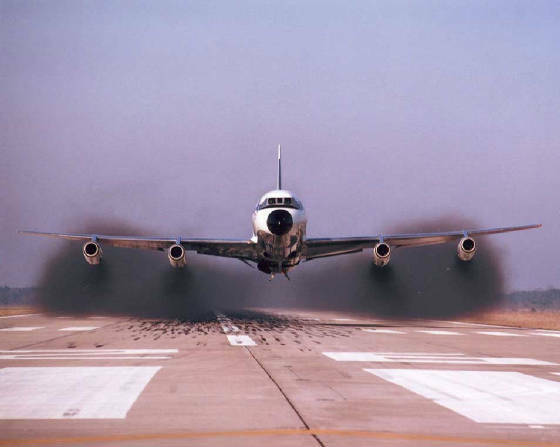 The right engine began to vibrate and eventually tore away from the wing altogether. Don along with his co-pilot managed to steady the plane enough to crash land in a field and save countless lives. For this and other acts of heroism he was awarded a Bronze Star, Air Medal, Distinguished Flying Cross and other citations. After his return stateside in 1945 Don remained in the Air force and again travelled the country going to military schools. He had an opportunity to return to the Seattle area in 1948 where he worked in air traffic control and he and the family lived in Renton Highlands. But on a routine check flight Don flew over a small lake south of there and thought it looked like a nice area to live. They contacted a realtor in the area, Skip Ketchum who remained a dear and life-long friend, and purchased an acre with a small house on Lake Meridian where they would remain until 2004. On April 7, 1950 their son Jim was born and soon after Don was hired by West Coast Airlines where he would spend the rest of his career even though the airline’s name changed to Air West, Hughes Airwest, Republic, Northwest, and now Delta Airlines. Don loved returning from trips to his beloved home on the lake. His nightly tradition in almost any weather was to go down to the dock in the evening with drink in hand just to think and take in the beauty that surrounded him. There were many milestones over the next decades; graduations and marriages, Jim to Kathy and Donna to Gary. There were get togethers with countless friends on the Fourth of July and other holidays. Don cherished his relationships both personal and professional. A bittersweet moment came on February 16, 1979 when he was forced to retire from flying at age 60. He did, however, fill his life with many activities including skiing, horse racing, and many trips to Mexico. And on February 14, 1982 he was blessed with his only granddaughter Talia whom he loved dearly. And when Talia was married to Ryan Butler in 2008 Ryan became every bit a part of the family. In January 2004 they decided it was time to move from the lake and they became the first residents of The Chateau at Valley Center. As always Don and Darlene made many friends and enjoyed the activities offered. They were long time members of the Kent United Methodist Church and managed to remain active for a number of years after their move to the Chateau. One of Don’s highlights was a trip to Washington D.C. on the Puget Sound Honor Flight. While there he and his son Jim visited many of the sights including the recently added World War II monument. Don was honored at the Air Force Memorial with a flag that was flown over the site and then ceremoniously folded and presented to him in recognition of his service. The flag has a prominent place in their home. On January 10, 2017 Don and Darlene were honored by many friends and family on their 75th wedding anniversary. The celebration held at the Chateau and was attended by many friends and family and included a wonderful video tribute produced by Gary’s son Tracy. In spite of somewhat failing health Don was able to laugh and joke with family and friends throughout the past few years. Thanks to the wonderful care given by Darlene with help from the VA Visiting Angels and Providence Hospice services he remained pain free and comfortable. Don passed peacefully on Sunday October, 21, 2018 surrounded by his loving family. Lieutenant United States Air Force (ret.). Veteran of WW II Asiatic Pacific Theater. C-47 Pilot and flew over 300 combat missions. One of his most noted achievements was successfully landing a C-47 that had an engine literally fall off the wing. More than 20 men were on board, 18 parachuted out, and 5 stayed with the plane. All but 2 who jumped survived and all who stayed with Lt. Hawley survived. His Decorations included the Bronze Star, two Distinguished Flying Crosses, and two Air Medals. 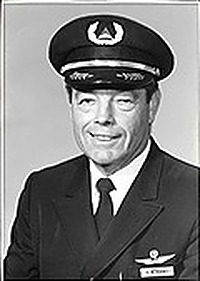 After a post-war stint with the FAA, Lt. Hawley became a commercial pilot and Captain for West Coast Airlines and its eventual merged partners in Seattle, Washington. After a successful career and logging over 30,000 hours, Captain Hawley retired from the airlines on February 15, 1979. Notification with the passing of retired Western/Delta pilot Captain James Paul Gibbs, age 80. Captain Gibbs joined Western Airlines 06-05-1967, retiring early due heart issues. He is survived by his wife Eileen, their children and grandchildren. Services for Captain Gibbs were held October 22nd in Mission Viejo, California. Gibbs, James P., born May 28, 1938, in San Diego, raised in National City, CA, died October 2, 2018 at his home in Mission Viejo. Jim attended St Augustine's High and Sweetwater High and then graduated with a B.S. In Political Science from Loyola University, an active member of Alpha Delta Gamma Fraternity. In 1960 he received a Regular Commission in U.S Air Force. 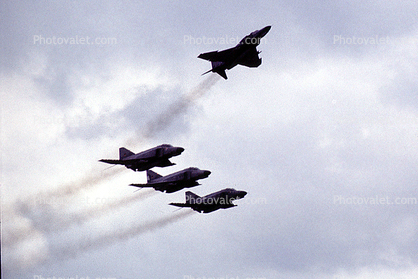 Primary and Basic flight training were at Bartow Air Base, Fla. and Reese Air Base, Tex flying T33's and T37's. Assignments followed in C133's at Cape Kennedy Canaveral, the Pacific arena and Vietnam in C123's. In 1966 he became an instructor of R.O.T.C. At University of Southern Calif. As a Captain with seven years of service, he received 24 Air medals, and was honorably discharged. In 1967 he trained to fly the Electra, 737, 727, 720, 707, and DC10 with Western Airlines, retiring after 19 1/2years. Through it all, he pursued his interest in Real Estate, in sales and management of his rental homes. Pride of his life were his five children, Susan, David, Paul, Denis and Cara. Camping, boating and water sports brought all the family out for fun. Jim is survived by his wife, Eileen, married 57 years; daughters, Susan Lund (Greg), Cara Thompson (Jason); son, David (deceased); daughter-in-law, Jeanne Oakley; sons, Paul (Denise) Gibbs, Denis (Jennifer) Gibbs; and seven grandchildren. 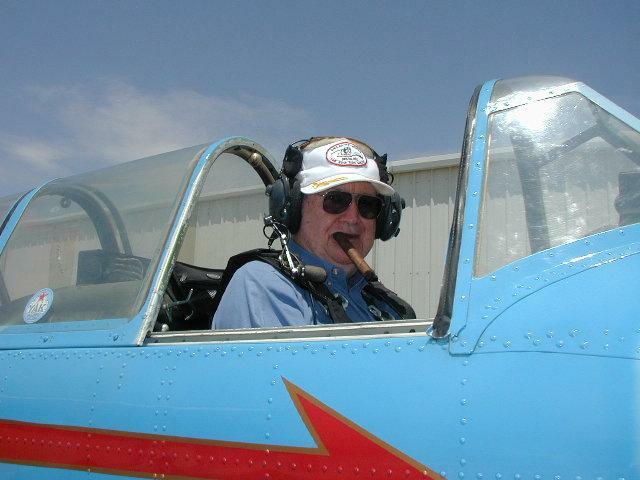 Word has reached our group with the passing of retired Western pilot Captain Bill Plaskett, age 91. Captain Plaskett joined Western Airlines 09-07-1954, and was based LAX. 4370 Park Corona, Calabasas CA 91302-1766. Our thanks to Jerry Miller for keeping us informed and as more information is received, we will be sure to follow up. I have been informed by the son of Western Air Line Captain Bill Plaskett, his dad “Went West” October 23, 2018 at the age of 91. Captain Plaskett’s son will be providing a tribute to his father to be posted for his Western Airline fellow pilots. No other details are available at this time. When I receive his tribute, it will be posted. I have the bad news to report my little Marty has passed away. She fought the good fight but Alzheimer's won at the end. At least she died at peace in bed. I am going to really miss her. You both do a wonderful service to the Pilots and Flight Attendants and we all owe you a debt of gratitude. Would you place this obituary on your respective web sites ? I would like all her friends to know. Margaret Gardner (Marty) passed away October 30, 2018. Marty was born in Greenville Mississippi on January 6, 1934. Shortly after birth she and her family moved to Texas. While there she attended Texas Tech collage. A stewardess career looked good to her and she was accepted by Delta Airlines. Marty flew five years before a move to Atlanta. She met Jim Gardner at a square dance and was married a short time later. Marty was active in the community and did volunteer work with battered women. She started Derma Clinic, a skin care business to teach new aestheticians in the beauty trade. Marty participated in the Ms. Senior Georgia contest and won Miss Congeniality twice and really enjoyed her life. After the pageant she joined the Dazzling Dames. This is a group of senior ladies who perform a variety show at nursing homes, churches and other events. She got great pleasure in this endeavor. She loved to ride on the back seat of a motorcycle with her husband and rode over 150,000 miles in Nova Scotia, Key West, Washington state, New Zealand, as well as the European Alps and many states. There will be a short reception following the service for all who would like to attend. The internment will be at the Georgia National Cemetery in Canton Georgia Monday, November 5, 2018 for immediate family. Surviving family are her son Butch Ruffin of Lebanon, Tennessee and her daughter Reggie Ruffin of Marietta, Georgia where she spent the last remaining days being lovingly cared for. In lieu of flowers please consider a donation to Alzheimers research. We are all going to miss Little Marty and heaven just received a wonderful addition. We regret to inform you of the passing of Marty Williams Ruffin Gardner (FA class 11/01/1954). 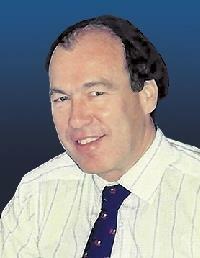 Marty was a DCW member for 46 years and served as DCW President 1973-1974. I have included an email from her husband, Jim, and her obituary below. Service arrangements are included in the obituary. Please keep Marty's family in your prayers as they go through this difficult time. I have the bad news to report, my little Marty has passed away. She fought the good fight, but Alzheimer's won at the end. At least she died at peace in bed. I am going to really miss her. Would you please place this obituary on your website? I would like all her friends to know. Margaret Gardner (Marty) passed away October 30, 2018. Marty was born in Greenville, MS on January 6, 1934. Shortly after birth she and her family moved to Texas. While there, she attended Texas Tech college. A stewardess career looked good to her and she was accepted by Delta Air Lines in 1954. Marty flew five years before a move to Atlanta. She met Jim Gardner at a square dance and was married a short time later. Marty was active in the community and did volunteer work with battered women. She started Derma Clinic, a skincare business to teach new aestheticians in the beauty trade. Marty participated in the Ms. Senior Georgia contest and won Miss Congeniality twice and really enjoyed her life. After the pageant she joined the Dazzling Dames which is a group of senior ladies who perform a variety show at nursing homes, churches and other events. She got great pleasure in this endeavor. There will be a short reception following the service for all who would like to attend. The internment will be at the Georgia National Cemetery in Canton, GA on Monday, November 5th for immediate family. Surviving family are her son, Butch Ruffin of Lebanon, TN and her daughter, Reggie Ruffin of Marietta, GA, where she spent the last remaining days being lovingly cared for.